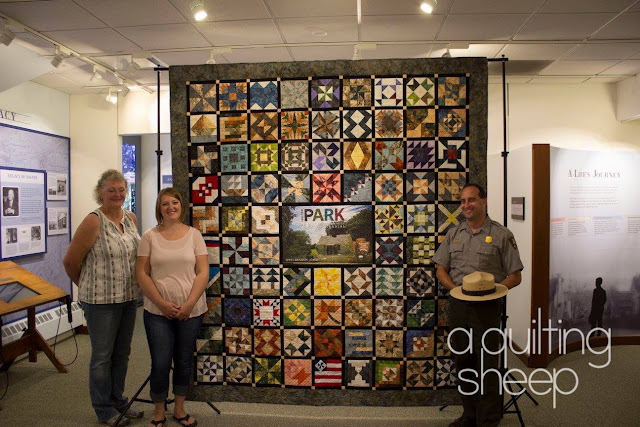 Just in time for Hoover Days at West Branch, Iowa, the quilt Cotton Creek Mill was commissioned to make for the Herbert Hoover Presidential Library and Museum was delivered. 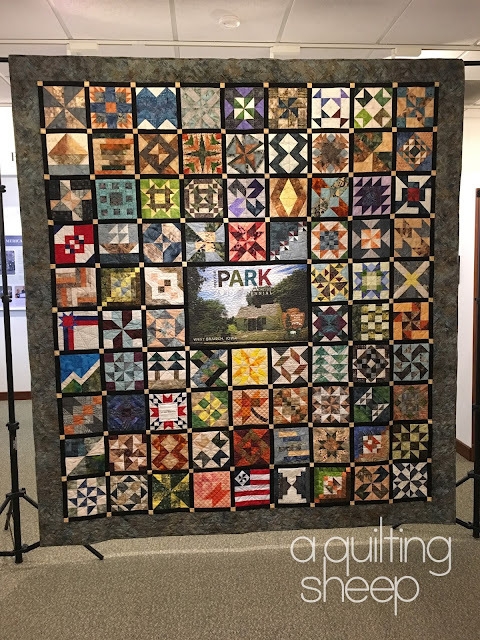 I am super proud of the way it turned out and honored to have two blocks that I made to be included. If you are ever in the area, be sure to stop by Herbert Hoover visiter center to take a look at it! What a great community project. It is beautiful. Nice quilt. How cool that you have two blocks in it. Very, very impressive! Great project! Wish I could see it in person! Wow that turned out fabulous. You have some truly talented people who contributed. This is an incredibly beautiful quilt! I just love group efforts to create treasures!